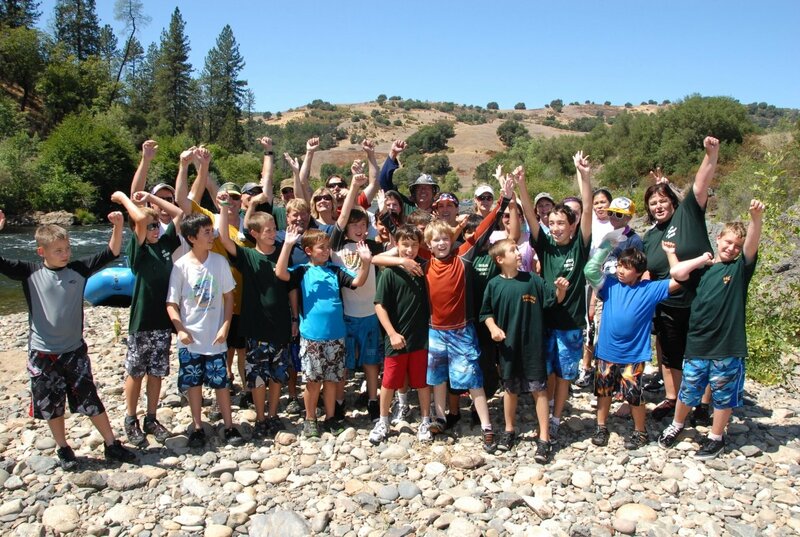 We raft more Boy Scout and Girl Scout Troops than all other American River outfitters combined! The reason is because we offer affordable, high quality programs that educate and enrich Scouts giving them the confidence and experiences to succeed in the world. We are also the only outfitter that offers a complete Boy Scout Whitewater Merit Badge Program that includes 2 days on the water following all the guidelines put forth by the Boy Scouts of America. Scouts will be instructed by our in house BSA Certified Instructor/Counselor. Why do we assume that learning only occurs when you’re serious and quiet? Well, forget that theory because we firmly believe that the best things are learned through fun. With clients like Google, eBay, Yahoo, Facebook, PricewaterhouseCoopers and many more – we know our passion for rafting works to bond, educate & enrich our corporate leaders. The highest-level executive thinking, making of connections, and the great “aha” moments are more likely to occur in an atmosphere of “exuberant discovery,” where people of all ages retain that kindergarten enthusiasm of embracing each day with the joy of learning. Fun actually promotes learning, increases dopamine, endorphins and energy! What can be more fun than spending a day on a river in the sun surrounded by your office mates? We take our fun very seriously so join us for fun in the sun. Our youth are the future of our world. As parents and educators ourselves, we know their experiences will shape who they will become as adults. One day, sooner than you, think they will be making the decisions that will effect everything from our environment to our social security, from our financial world to our religious mindset, from media to medicine – the youth of today is our future and they can learn a lot from a river trip. 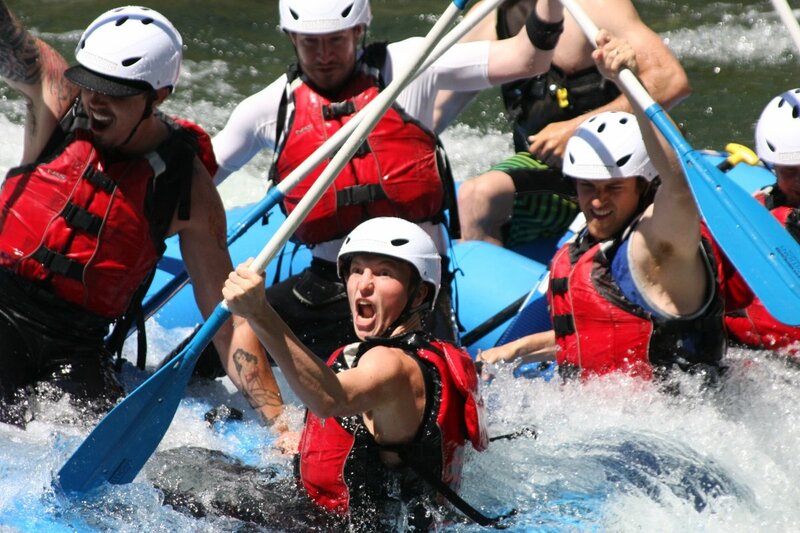 Yes, rafting is fun. It gives kids an experience in nature, an experience on moving water, teaches them first hand about working as a team and how we are all connected in ways big and small. It connects them to experiences far greater and more impactful than TV, movies and the daily life connected to Social Media. A river always finds a path from the mountains to the sea regardless of what obstacles are in its way. We hope an experience of a river trip will teach our youth about life and how to navigate its ups and downs. We have a guide staff that are gurus in their own way. Let us show you how we can put together a great experience for your youngsters. Get out on the river, camp under a million stars and drink until you fall asleep next to the fire. Bond with your mates and girlfriends on an experience you’ll be sharing with your grandkids! Our raft trips are hugely popular with the “soon to be married” and their friends – guess it is just a way to calm the nerves and relieve the stress of all that wedding planning! Let loose and enjoy yourselves by letting us handle all aspects of your trip so you can have an awesome experience. We have campsites away from others that allow you to let loose a little and guides that will put up with all the crazyness. We can arrange shuttle service to various establishments so you can stay together as a group and not drive. We can offer your party a great experience. What would we do without the women and men that fight for us and help us in our time of need? You guys are the real rockstars! For everything you do for us on a daily basis, the risks you take, the sacrifices you and your families make – the least we can do is our part and show you and absoultely fabulous time on one of our trips. Give us a call and let us put together a trip that will allow you to forget the stress of our normal life and have a blast. Drive right to your campsite near the South Fork American River for the start of your whitewater rafting adventure. Whether you invested in classic car auto insurance or not, come down and show us how stunning your classic car is! Park your classic car, sports car or hot rod in a secure area while you enjoy the outdoors and whitewater rafting with your family and car club friends.